This versatile, compact cooking unit is used for jellies, and for low to medium output of hard candy. It brings the benefits of very low energy use for jelly cooking. It provides a simple, single-stage process for hard candy. 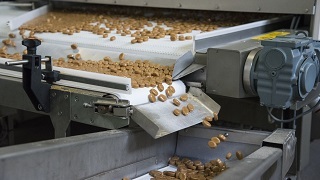 For confectioners needing versatility, there is simple changeover between the two product types. Jellies: a plate pack heat exchanger dissolves sugar and hydrates the starch. Products that can be handled include pectin jelly, starch/gelatine jelly, gelatine jelly and starch jelly. 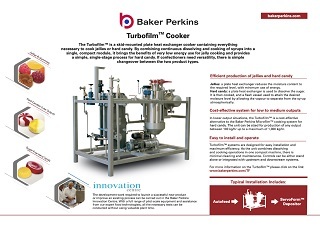 Hard candy: in low-output situations, the Turbofilm™ is a cost-effective alternative to the Baker Perkins Microfilm™ cooking system. 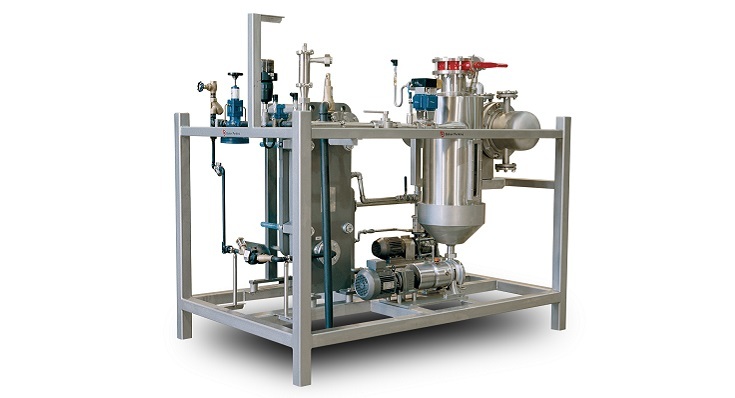 A plate pack heat exchanger is used to dissolve sugar in water. It is then cooked atmospherically, and a flash vessel used to attain the desired moisture level. Products that can be handled include sugar & sugar free hard candy syrups, pectin, starch/gelatine, gelatine and starch based jelly syrups. The unit is not recommended for products containing milk, or any ingredient containing milk protein. 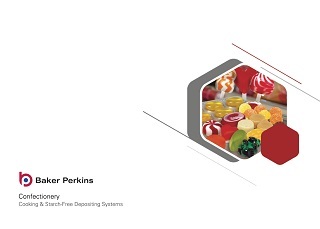 In lower output situations, the Turbofilm™ is a cost-effective alternative to the Baker Perkins Microfilm™ cooking system for hard candy. The unit can be sized for production of any output between 100 kg/hr up to a maximum of 1,000 kg/hr. Turbofilm™ systems are designed for easy installation and maximum efficiency. 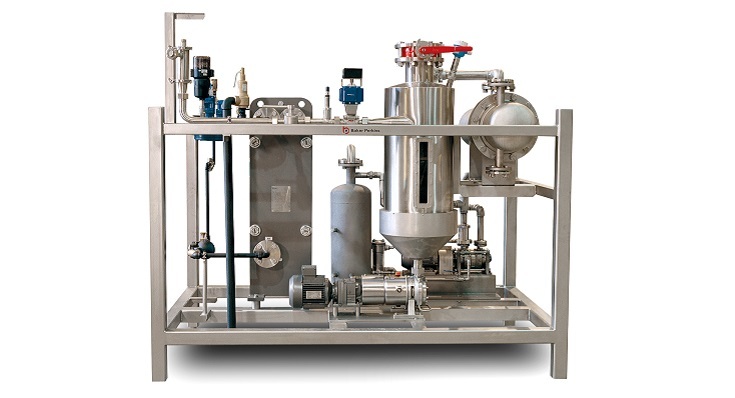 As the unit combines dissolving and cooking operations in one compact machine, there is minimal cleaning and maintenance. Controls can be either stand alone or integrated with upstream and downstream systems.